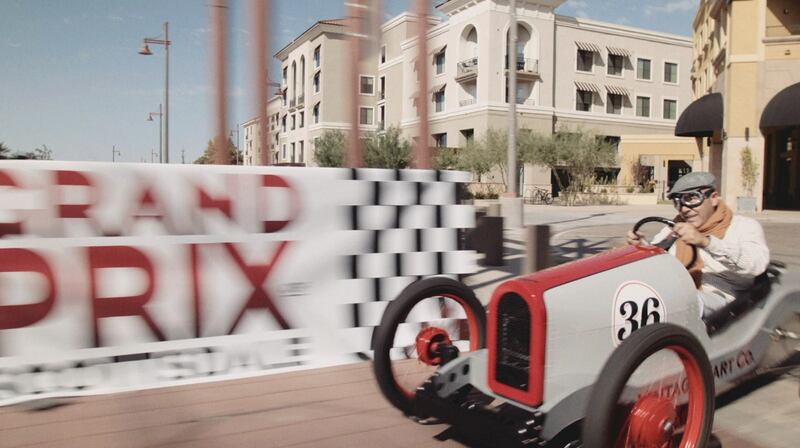 Editor’s note: This is the fourth in a five-day series featuring teams fielding Vintage Kart Mini Racers in the second annual Scottsdale Grand Prix, to be held November 4-6 on the streets of Old Town Scottsdale, Arizona. Celebrating 20 years in business, AEI Lighting is a multi-faceted manufacturer and full-service solutions provider of industrial, commercial, retail and residential energy-saving lighting products that include LED, T5/T8/T5HO fluorescent, induction and natural light skylights for applications such as distribution centers, warehouses, production floors, retail, grocery, commercial buildings, streets & roadways, office parks, cold storage and extreme environments. After finishing in third place in the 2015 Grand Prix of Scottsdale, the AEI Lighting team looks to move up two notches into the first place spot in 2016. In its second year, the highly-anticipated culinary showcase, the azcentral.com Food & Wine Experience, expands to award-winning Salt River Fields, boasts 60 restaurants and adds the Friday opening night charity bash, First Course. Celebrate with the hearts and palates of chefs, vintners, distillers, restaurateurs and enthusiasts. A rare culinary experience not to be missed -- azcentral.com Food & Wine Experience, November 4-6th, 2016 at Salt River Fields at Talking Stick, Scottsdale, AZ • VIP Combination Tickets for the Grand Prix's Gatsby Lawn Party & azcentral.com's Food & Wine Experience are available. No one knows classic cars and their owners better than Hagerty. Based in Traverse City, Michigan, Hagerty is the leading insurance agency for collector vehicles in the world and host to the largest network of collector car owners. Frustrated by the lack of vintage boat insurance, Frank and Louise Hagerty started their own agency in the family basement in 1984, offering agreed value policies for boats. This specialty coverage was a big hit and, within a few years, half of all vintage boat owners were Hagerty clients. The company expanded to classic cars several years later and the rest, as they say, is history. Mark Valentino is taking the wheel for Hagerty in the Grand Prix of Scottsdale." The Celebration Stem Cell Centre offers processing and banking of Private umbilical cord blood, Wharton’s jelly stem cells, Public cord blood donations, Adipose tissue, Adipose stem cells, Dental pulp stem cells and other adult stem cells. CSCC also offers services for Contract Manufacturing, Contract Research and development and submission of IRB proposals based on its clients’ research needs. CSCC will meet the ever increasing need for public cord blood banking by being the first facility in Arizona to collaborate with hospitals throughout the state to process and bank umbilical cord blood donations. Cord blood stem cells are currently being used to treat over 80 different diseases. After a great finish in 2015, the Celebration Stem Cell Centre team is racing toward a top finish in this year's 2016 Grand Prix of Scottsdale. Buffalo Collection offers the world’s finest genuine American Buffalo leather furniture. Buffalo Collection's leather furniture is virtually unparalleled in its cushy softness, strength, and durability. Combined with the craftsmanship of strong hardwood frames, eight way hand-tied springs, and down topped cushions, Buffalo Collection creates a superior product of heirloom quality. Every Buffalo Leather piece is hand-crafted in America with lasting comfort in mind & designed to be cherished through the generations. 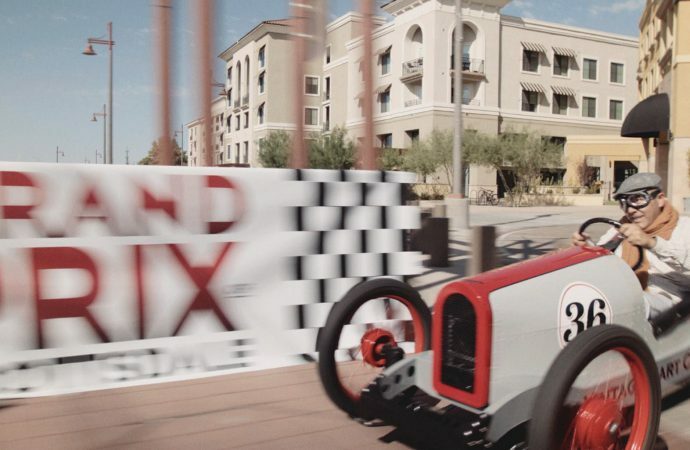 The Buffalo Collection / 5th Avenue team had a great showing in the 2015 Grand Prix of Scottsdale and looks to sit comfortably in the winner's seat in 2016. Scottsdale's Fifth Avenue arts district in combines the ambience of old Scottsdale with some of the best restaurants, unique shops, salons, contemporary art and nightlife. Over 80 specialty shops populate 5th Avenue and offer an eclectic and unique mix of goods from hand-forged jewelry to contemporary artwork. Well over 35 eating establishments are within a five minute walk of the famous Bob Park Horse Fountain on 5th Avenue, one of Arizona’s most photographed spots. When at the Grand Prix & Gatsby Weekend, visit 5th Avenue for meal, shopping or an exciting evening at the nightspots along our story-book street.